Mrs. Bijoya Chakrabarty a Post-Graduate from the University of Guwahati is President of Indian Federation of United Nations Associations. She was elected by the National Council on April 08, 2018 in New Delhi. She is Member of Parliament and Former Union Minister, Government of India. Mrs. Bijoya Chakrabarty began her political career in the Bharatiya Janata Party. She subsequently joined the regional Asom Gana Parishad and served in the Rajya Sabha from 1986 to 1992. Following her stint in the Rajya Sabha, she joined the Bhartiya Janata Party. She represented the Guwahati in the 13th Lok Sabha. She won this seat for the BJP for the first time ever in 1999. Under the premiership of Shri Atal Bihari Vajpayee, she served as the Union Minister of State for Water Resources and started the Project of Linking of Rivers in India. BJP nominated Bijoya Chakrabarty in the 2009 Lok Sabha election from the Guwahati seat. As a result, she again won the seat in 2009 and 2014 representing the BJP. She is at present as Member of Lower-House (Lok Sabha, Member of Parliament) Chairperson Women Empowerment Committee of Government of India. She is highly respected not only in her state Assam but all over India. She is an experienced administrator and politician. Sh. 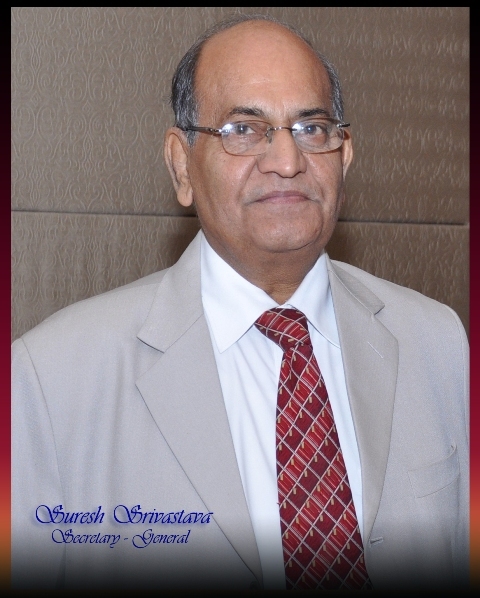 Suresh Srivastava is the Secretary General of Indian Federation of United Nations Associations. He is the Vice-Chair of World Federation of United Nations Associations Geneva, Switzerland. He was a Student Leader, President of Students Union, Delhi University, and former President of United Nations Students Association of India. He is a practicing Lawyer in Delhi High Court. He was President of Tax Bar Association, Delhi. He was Standing Counsel in Delhi High Court of NCT, Delhi and Senior Standing Counsel of Central Government in Delhi High Court. He has organized various seminars, symposia, workshop and conferences on various National and International issues. He has been contributing Articles in various News Magazines and News Papers on Law, Human Rights, Peace and Development. He has been appearing regularly in Electronic Media, National Channels in the programs for Legal Advice and program relevant on social and current issues.